How does a bladeless fan work? The first ceiling fan truly without blades! Powerful and quiet, the temperature spread throug the room in 90 seconds. Model without LEDS Preorder of the new generation - Exhale fan GENERATION 4Estimated availability: Late May 2019The containers are in transit.Take advantage of promotional code PREORDER50 (50 € discount) to compensate the waiting time. 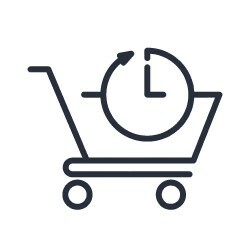 Balance payment of your order 1 / In the "Quantity" box, indicate the amount remaining to pay, then click on "add to cart". 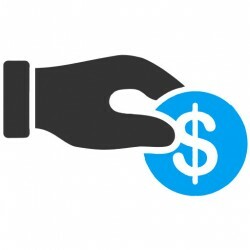 Example, if your outstanding balance is 500 €, write "500" in the "Quantity" box. Do not put a symbol €. Pre-order your fan for € 1 You can pre-order your fan for only € 1. You will only pay the balance when the fan is ready for delivery. Be careful, this pre-order 1 € option does not allow you to profit from the discount code "PREODER50". 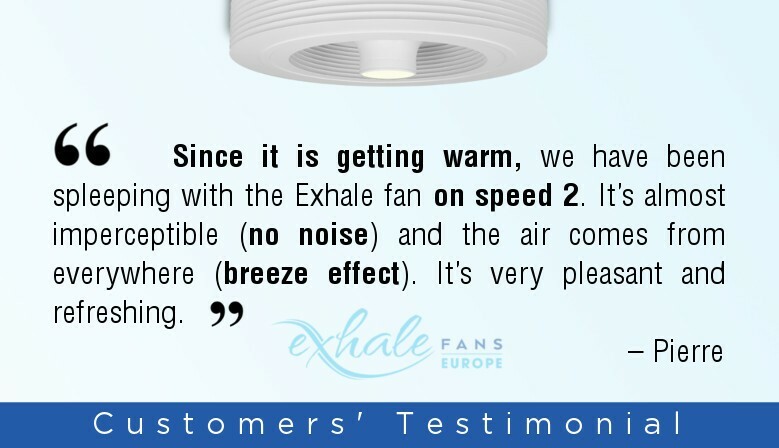 1 - The Exhale fan is almost imperceptible even at maximum speed, its volume is between 30 and 40 decibels. 2 - The Exhale fan is the friend of your health. The air in the room is kept constantly in motion, all moisture are eliminated. 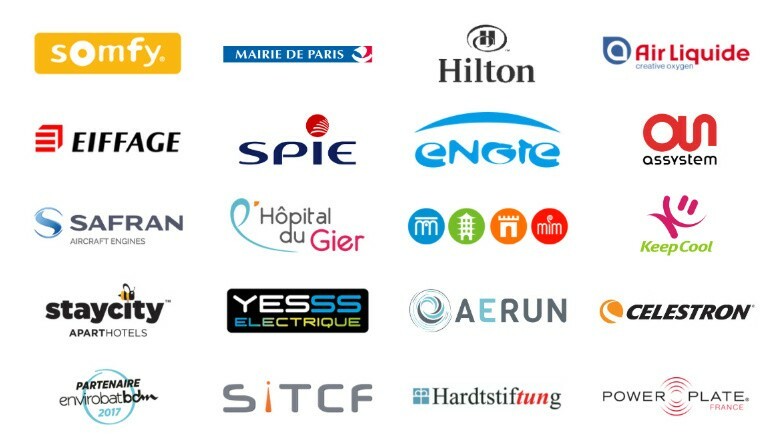 3 - The Exhale fan allows you to save money thanks to its patented technology wich combines energy efficiency and maintaining a constant temperature, in perfect complementarity with your air conditioning or heating. 4 - The Exhale fan is soothing. Even at high speed, it does not sweep anything in the room: you can lie down in peace! 5 - The Exhale fan is elegant. 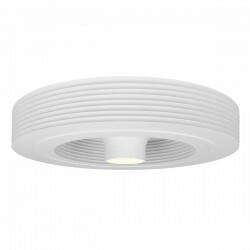 Its spherical, clean line, with no visual screws, fits perfectly with any interior. 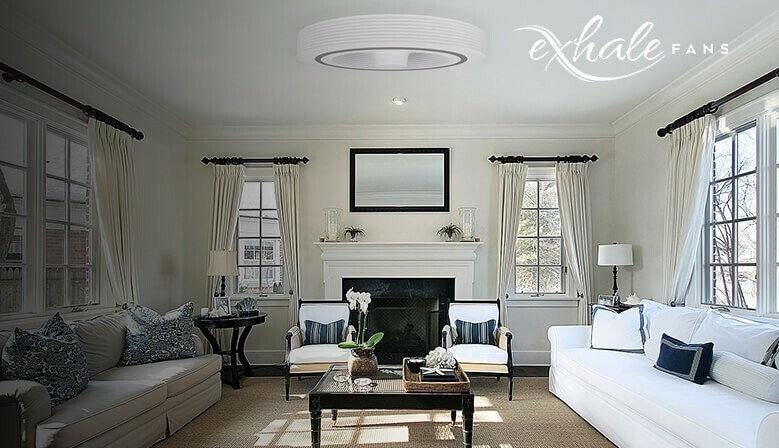 6 - The Exhale fan is an alternative between air conditioning and the traditional ceiling fan. 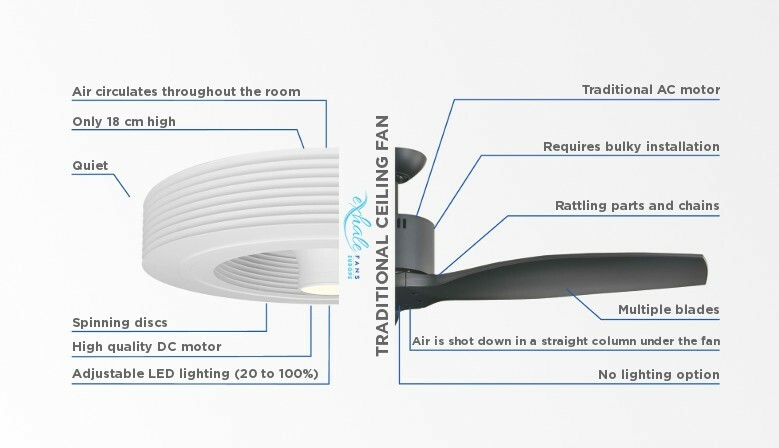 Why buy a bladeless ceiling fan? You can safely buy your Exhale fan online thanks to our 3D secure encrypted system. 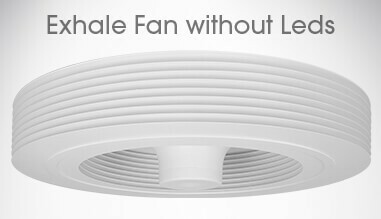 The Exhale fan is a bladeless ceiling fan whose concept is unique. 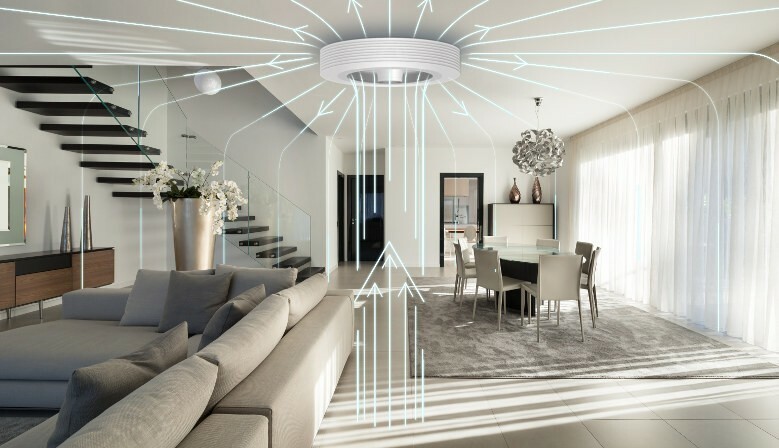 It acts like a plane reactor (but silent and ecologic) in your living room. 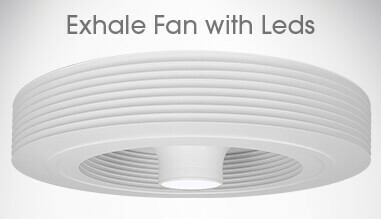 The exhale fan creates a vortex effect that takes the air under the exhale fan to redistribute it 360 degrees all around the room. 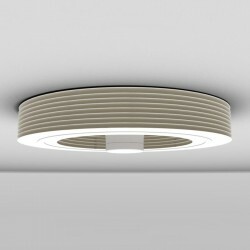 The bladeless ceiling exhale fan can stir the air in the entire room, regardless of its size (1 fan for 50 square meters) and height (up to 6 meters).